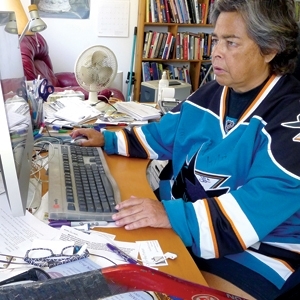 A guest piece from Gloria and Emily, longtime readers, activists and Sharks fans. We first met Emily last April when she sent us a great video she produced that riffed on the NHL’s “History will be made” campaign. We got to know Gloria last summer while she was lobbying the Sharks to do an “It Gets Better” Video. In an odd twist of timing, right on the heels of the Wayne Simmonds – Sean Avery incident, the team’s front office declined. 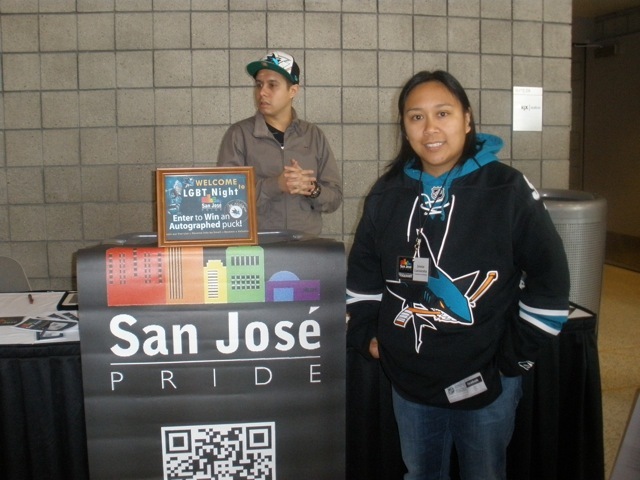 “Monday, March 19 was Pride Night at the Tank with the San Jose Sharks. Over 400 LGBT fans were part of the 17,000 sell out crowd watching the Sharks take on Conference rival the Anaheim Ducks. Unfortunately for Shark fans we did not come away with the W and lost ground in the race for the Cup. 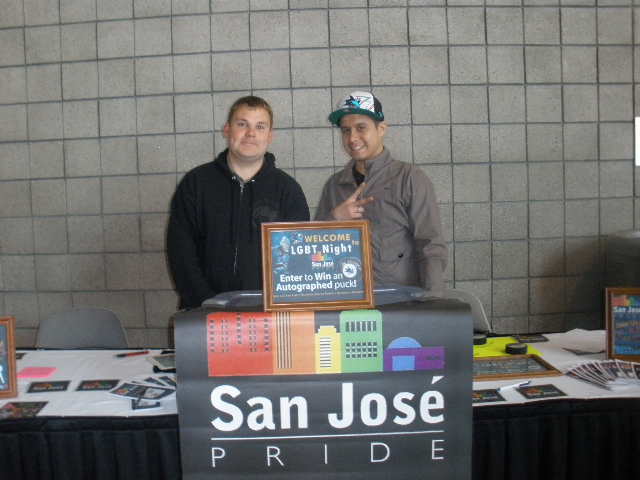 San Jose Pride President Nathan Svoboda was there and had this to say about Pride night. The Sharks also ran, for the first time, their video of Sharks player, Tommy Wingels talking about the new You Can Play Project. Take a look here to see what our local hero is doing to end homophobia in the locker room. It was just announced today that Wingels has been nominated for the Masterston trophy for his work on You Can Play. This entry was posted in San Jose Sharks and tagged Gay Nights Out, San Jose Sharks, You Can Cheer!. Bookmark the permalink.